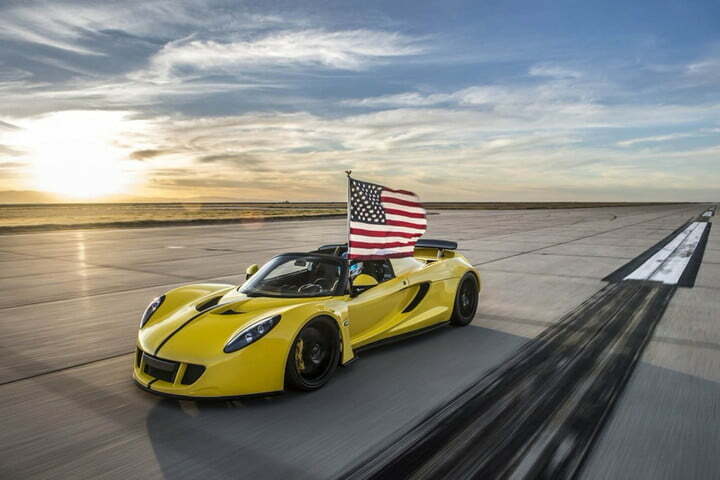 Hennessey Performance Engineering has a knack for setting world records. 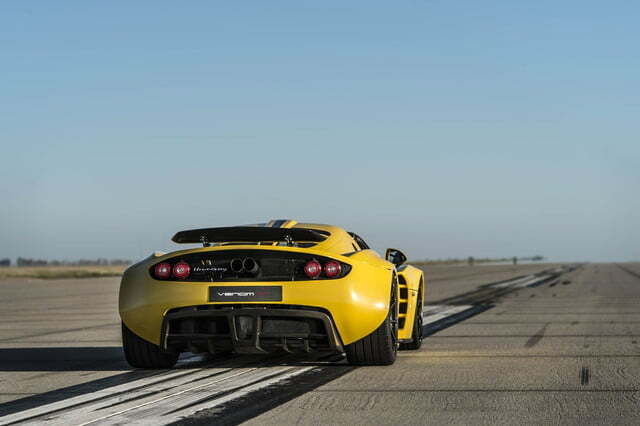 The American tuning firm likely has Guinness on speed dial at this point, and for the company’s 25th anniversary, it celebrated the only way it knows how — by blowing the roof off the record book. 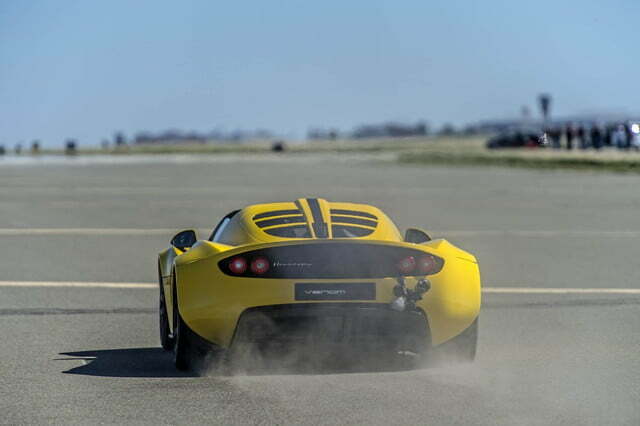 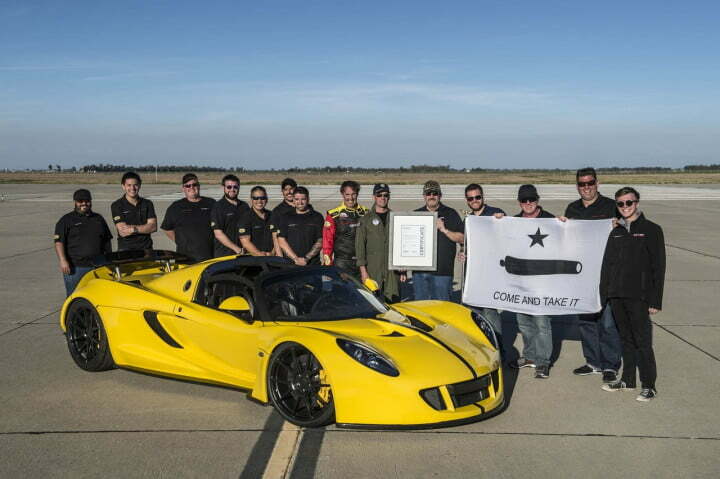 On March 25, Hennessey’s Venom GT Spyder officially became the fastest convertible in the world after prancing down a Texas runway at 265.6 mph. 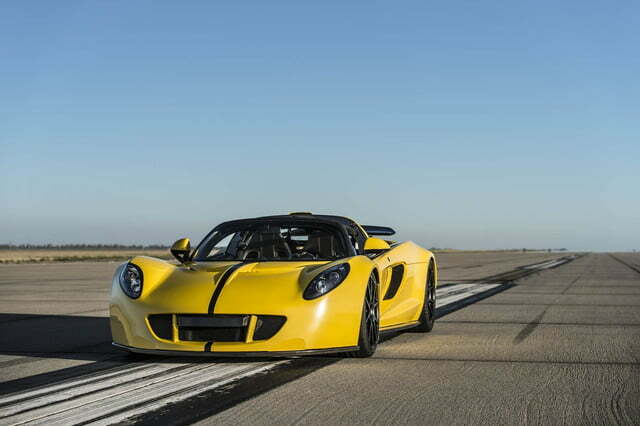 Independent speed testing gurus from Racelogic were on hand to verify the run, and the car was bravely piloted by Brian Smith, director of the Ford Performance Racing School. 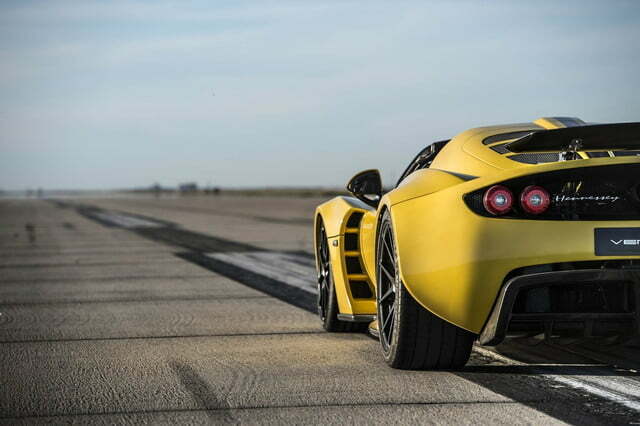 The previous convertible record of 254 mph was set back in 2013 by the Bugatti Veyron Grand Sport Vitesse. 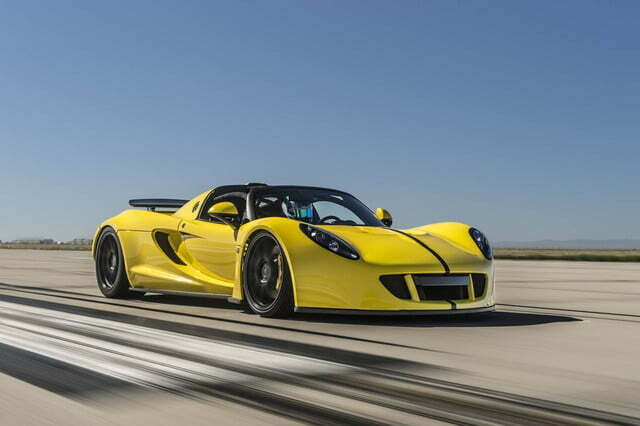 To reach its hair-rustling top speed, the Venom GT Spyder features an incredible 7.0-liter twin-turbo V8 that pumps 1,451 horsepower and 1,287 pound-feet of torque to the rear wheels through a seemingly indestructible six-speed gearbox. 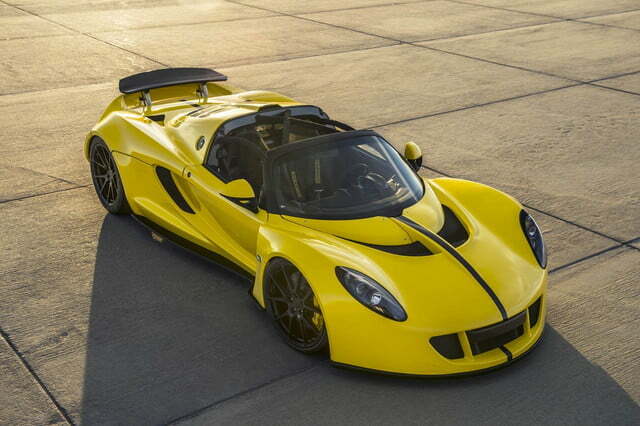 If the massive top end wasn’t enough, get a load of this — the droptop Venom can sprint to 60 mph in just 2.4 seconds and will reach 200 mph from a standstill in just than 13.0 seconds. 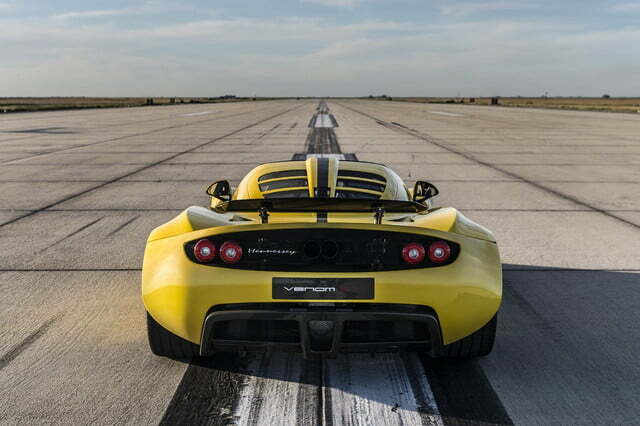 Eat your heart out, Bugatti. 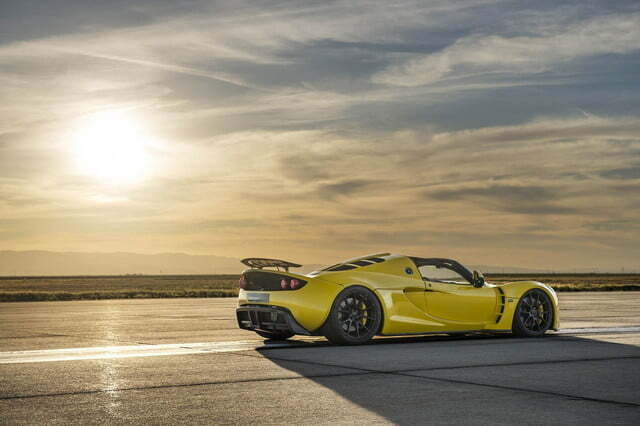 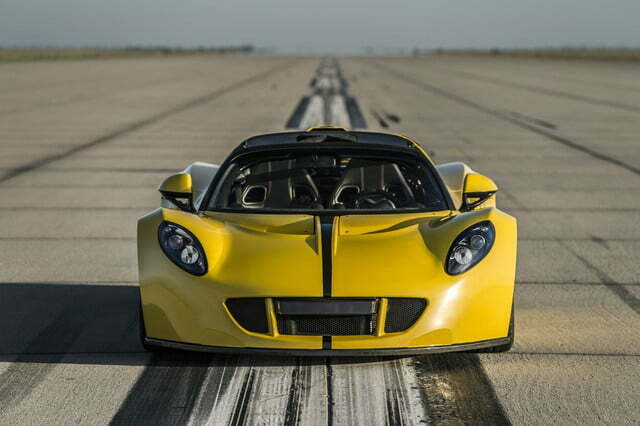 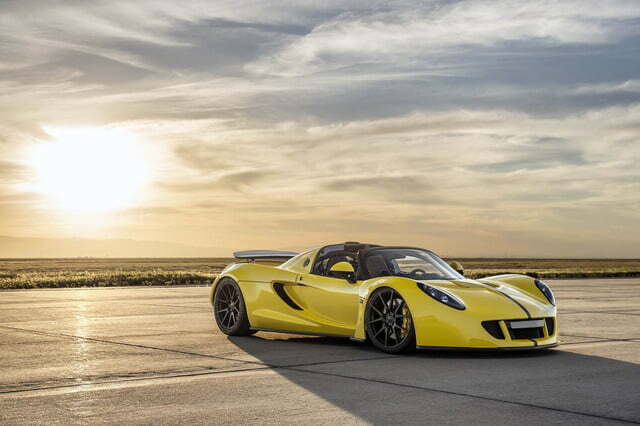 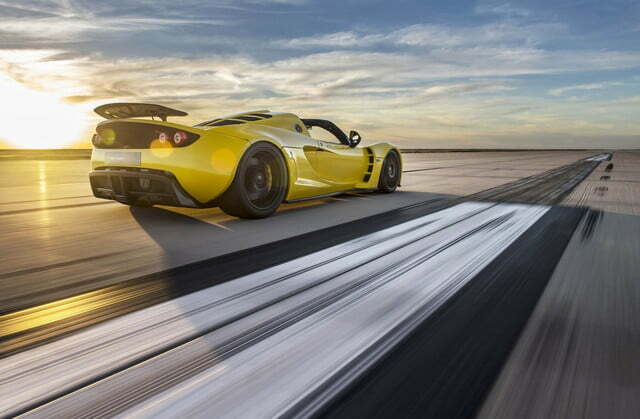 The Hennessey Venom GT is currently the fastest production car in the world with a top speed of 270.4 mph.